a bit overly excited! Here's my own little very pink haul for anyone who may be interested. 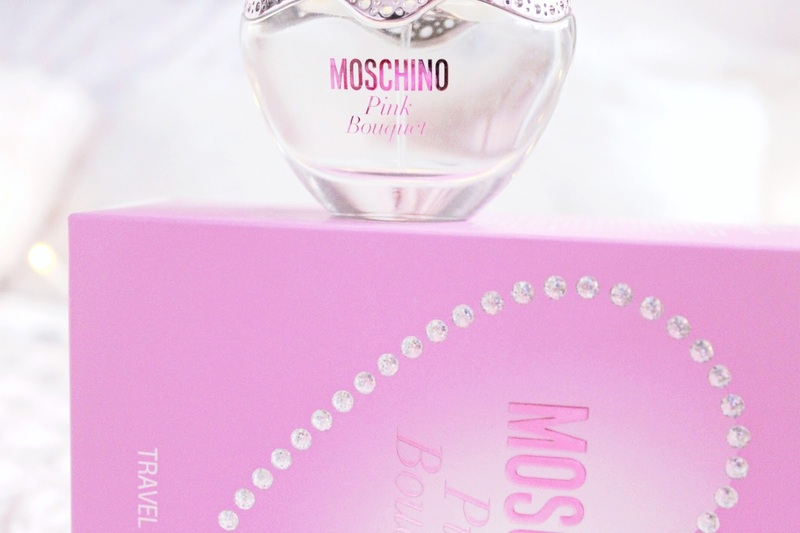 This perfume is so beautiful. I'd been admiring Moschino's Pink Bouquet for ages so was thrilled to find one in my stocking from my lovely music man. I love the heart shaped bottle, it's so beautiful and romantic and every time I spray it I catch a whiff of strawberries. 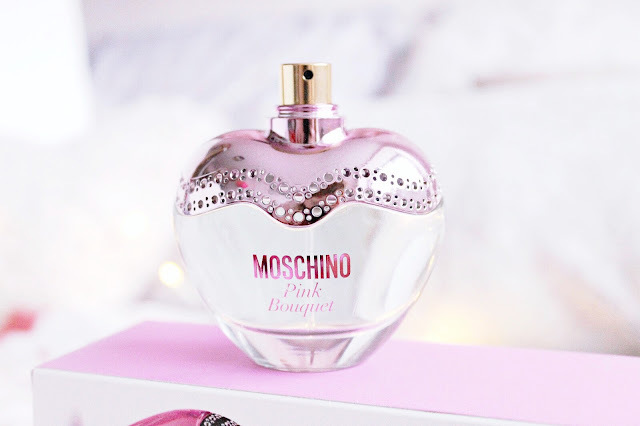 I adore fruity scents and this is perfect. 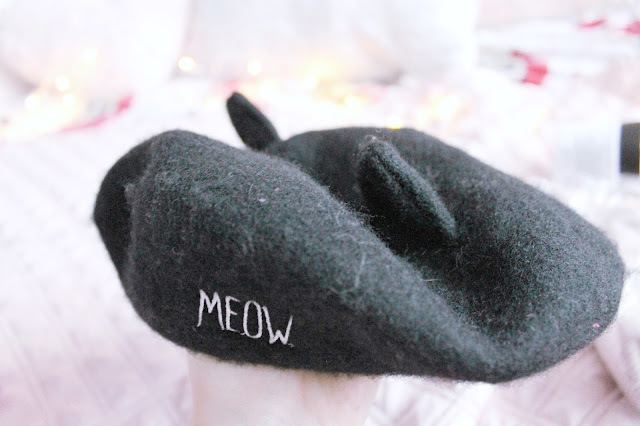 It also came with a matching body lotion, so lovely, and a little pink cap on top! Have you tried a Moschino perfume before? I'd love to know your recommendations for the future. Ahhh now both Oscar and I can parade around the park in our ear adorned hats! I absolutely adore this cat beret with little felt ears. I'm definitely a hat girl now, even in the shower no kidding. The Japanese Cherry Blossom range is one of my all time favourites from The Body Shop! I love the delicate fragrance and powdery notes. I received a lil shower set and cannot wait to use it. 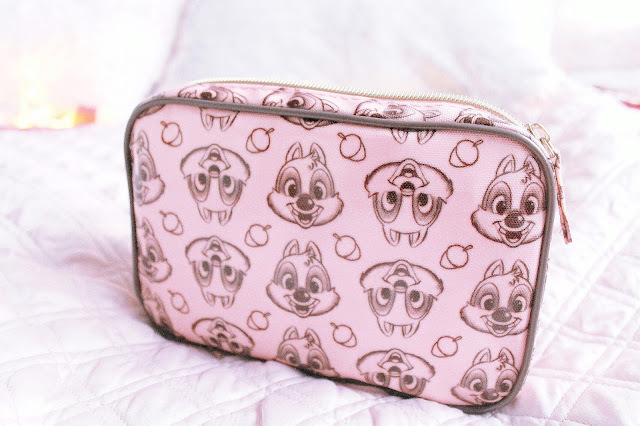 How cute is this Disney make up bag? Mine was breaking as a result of my growing stash so I was over the moon to receive a brand new one. 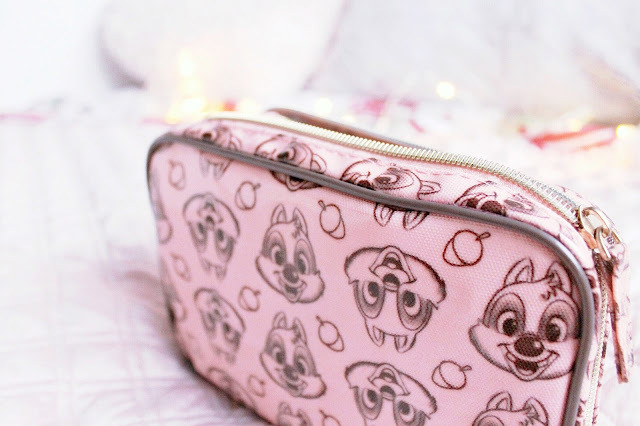 I am definitely a Disney girl at heart, the Chip and acorn illustrations are adorable. It also has little zip compartments inside to hold all kinds of cosmetics. The snow fairy came to visit me this Christmas! I finally got to try the most coveted shower gel and it smells divine. 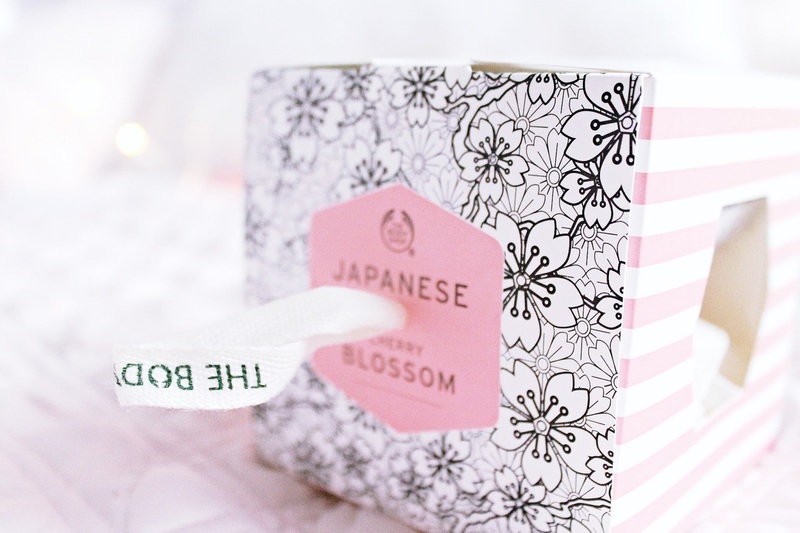 It shares the same almost edible aroma as the incredible Bubblegum lip scrub, like candyfloss, fruit and vanilla. Just like a fruity dessert! The scent is strong but so soothing and long lasting, scenting the skin for hours afterwards and smells just like childhood memories. 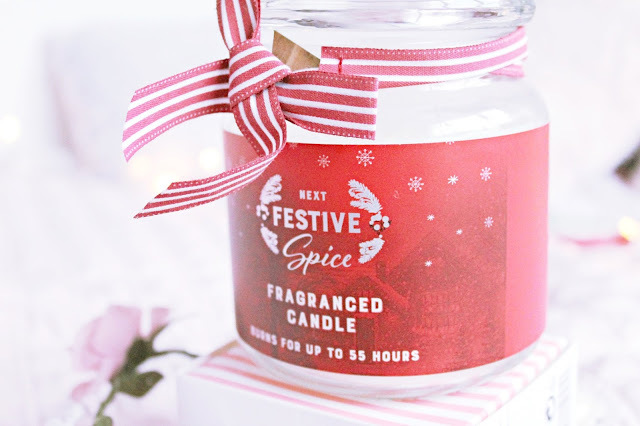 I will be burning this beauty for the rest of the festive season and probably in to February too, it's such a delicious scent, smelling just like Christmas pudding. What have you been up to over the Christmas holidays? I love spending time with my loved ones and everything I received was so thoughtful, I've felt incredibly blessed - also for the friends I've met on social media this year and for all of your help and comments! I am also soso thankful to my big love and little boy for their support and love. 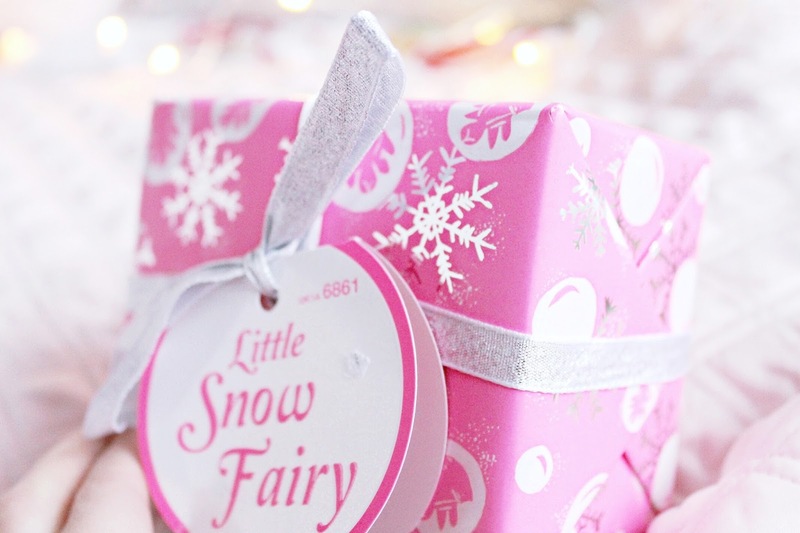 I adore how pink and girly everything you received is! I think that makeup bag is my favorite. So adorable! You got some really great stuff! Snow Fairy is my favourite! Aw I love all your stuff! I feel like we have similar aesthetics, ahaha.. very pink and girly. I love pink things. You seem like you live a beautiful life. Cute post, and have a happy new year, girl! So much pink! Love it. Thanks for sharing!